An ankle avulsion fracture occurs when a tendon or ligament comes away from the bone often pulling a small piece of bone with it. The symptoms are similar to an ankle sprain, but unlike a sprain, an avulsion fracture pulls a piece of bone off when the ligament tears. An x-ray can determine which ankle injury you have and so how best to treat it. Symptoms of an ankle avulsion fracture are very similar to an ankle sprain and it is very difficult to tell the difference without an X-ray or MRI scan. At first, the patient may think they have sprained their ankle with symptoms of immediate pain and swelling. Bruising may develop later and the athlete will most likely have difficulty moving the ankle or putting weight on it. If it is an inversion sprain, which most ankle sprains are then there will be a pain on the outside of the ankle where the ligaments have sprained (torn). Most lateral ankle ligament sprains heal within a few weeks as long they have sufficient rest and proper treatment. However, in some cases, the patient may have a problem ankle, with persistent pain which fails to resolve after three to six weeks (depending on the severity of the initial injury). Avulsion fractures can occur anywhere in the body, usually at joints. the ankle is one of the most common places for it to happen. When the ankle is sprained or twisted, a force is passed through the ligaments and tendons usually on the outside of the ankle. One of two things can then happen. 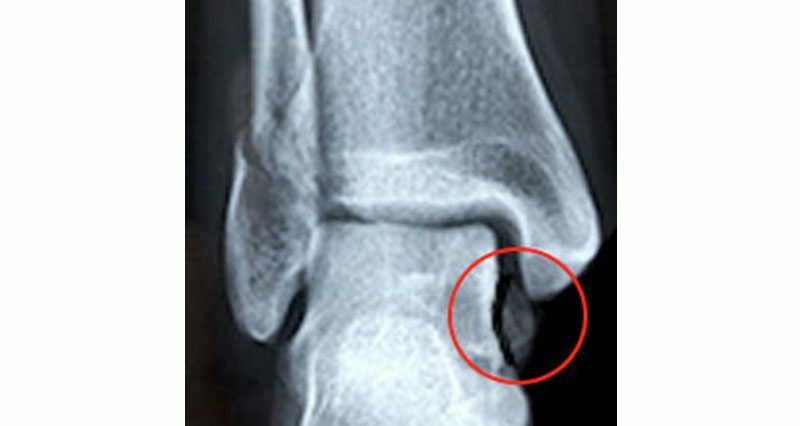 Either the ligament or tendon tears, resulting in a sprained ankle, or the ligament or tendon pulls so hard on its bony attachment, that it pulls a small piece of bone off. This is known as an avulsion fracture. It is impossible to know which of these has happened following an ankle injury, without an x-ray. This is why it is always important to get an x-ray following a moderate to a severe ankle injury. Although treatment is often the same whether there is an avulsion fracture or just a sprain, it may depend on the severity of the fracture and also its alignment. Children are also more likely to be offered an alternative treatment for a fracture as otherwise, this could affect their skeletal growth. 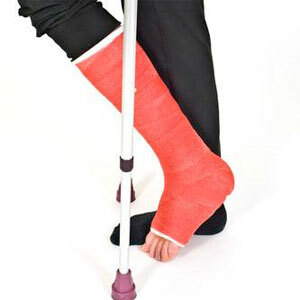 More severe avulsion fractures or fractures in children may require casting for 6-8 weeks to allow the bone to heal. Following this, a period of rehabilitation will be required to ensure that full strength and mobility are regained.